Today, this esteemed trio celebrates the 60th anniversary of their ordinations to the priesthood. 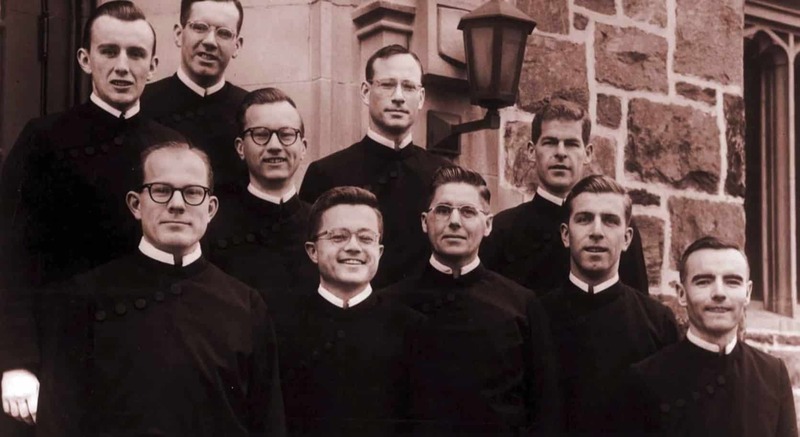 On May 11, 1957, the three were among 10 new Paulist Fathers ordained by Bishop James Griffiths, an auxiliary bishop of the Archdiocese of New York, at our mother church, the Church of St. Paul the Apostle, in New York City. Fr. 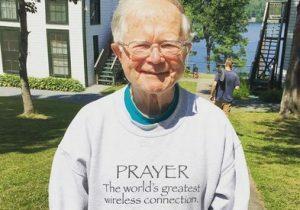 Vinny, 86, has been a Catholic campus minister at the St. Thomas More Newman Center at The Ohio State University in Columbus, OH, for 26 years. Earlier in his priesthood, he served as our community’s director of novices and was on the pastoral staff of the Paulist Center in Boston. See this article for his reflections on his wonderful life and ministry. Fr. Vinny McKiernan, C.S.P. 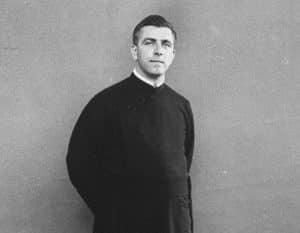 as a young priest. Fr. Pietrucha, 89, lives at our motherhouse in New York City. During his decades of ministry, he has served as associate pastor of the Church of St. Paul the Apostle in New York City; a director of instructional programs at the Paulist Center in Boston; pastor of St. Austin Church in Austin, TX; associate pastor of St. Peter Church in Toronto; superior of the Paulist Fathers at St. Peter Church in Greeley, CO; rector of the Church of Santa Susanna in Rome, Italy; and associate pastor of St. Cyril Church in Tucson, AZ (where he lived until 2015). Fr. Stransky, 86, lives in Totowa, NJ. 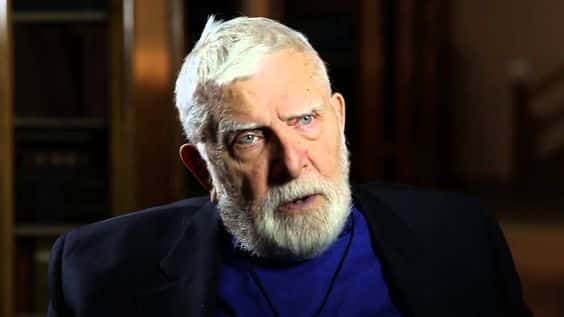 In the 1960s, as a staff member of the Vatican’s Secretariat for Promoting Christian Unity, he was instrumental in the writing of the Vatican II document “Nostra Aetate,” the Declaration on the Relation of the Church to Non-Christian Religions. He served as president of the Paulist Fathers from 1970 to 1978 and then as our director of novices. From 1988 to 1999, he was rector of Tantur Ecumenical Institute in Jerusalem, a center of theological scholarship and learning. In 2015, he received an honorary doctorate from the University of Notre Dame. Members of our Class of 1957 who have entered eternal life include Paulist Fr. Henry Noyes (1929 – 1969), Paulist Fr. 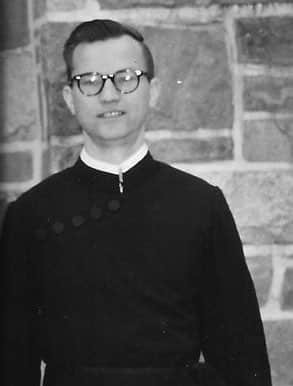 James Gollner (1926 – 1984), Paulist Fr. 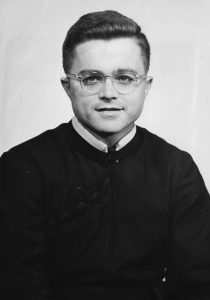 John “Cappy” Donahue (1922 – 1997), Paulist Fr. 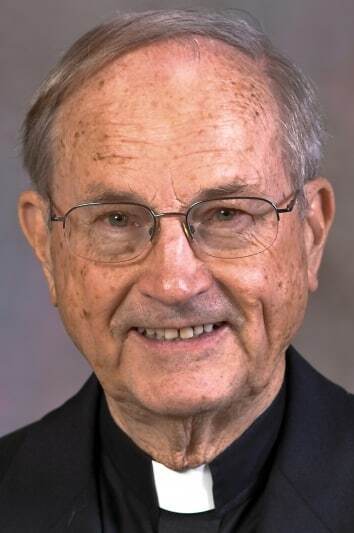 James McCabe (1930 – 2011) and Paulist Fr. George Helmich (1923 – 2009).